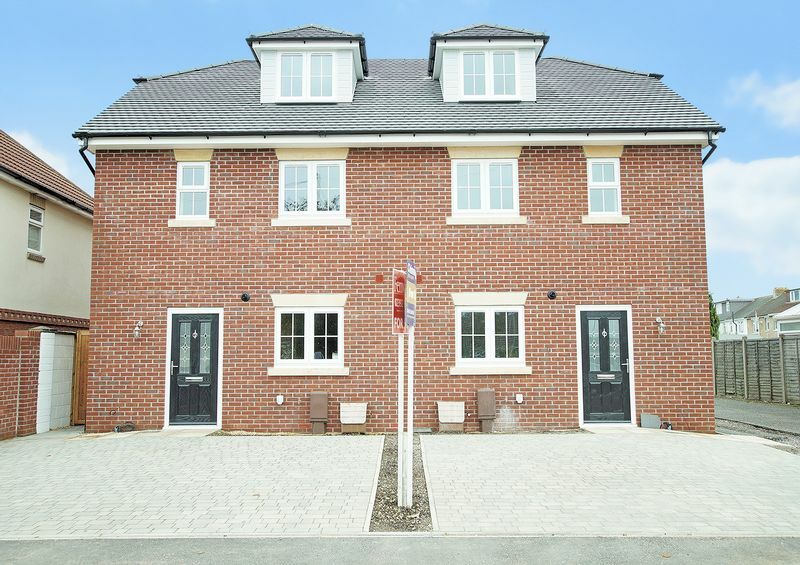 An exciting new development close to Portchester village centre with popular schools and within easy reach of Fareham town centre. 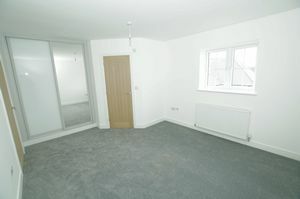 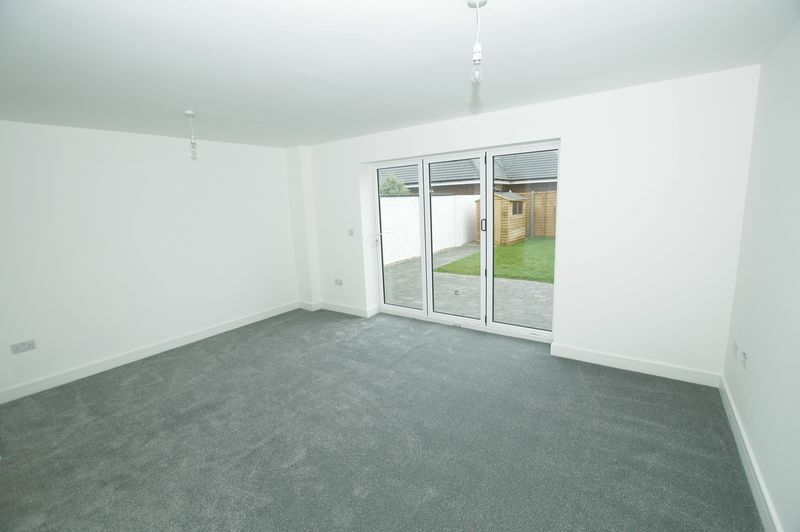 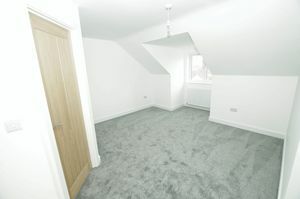 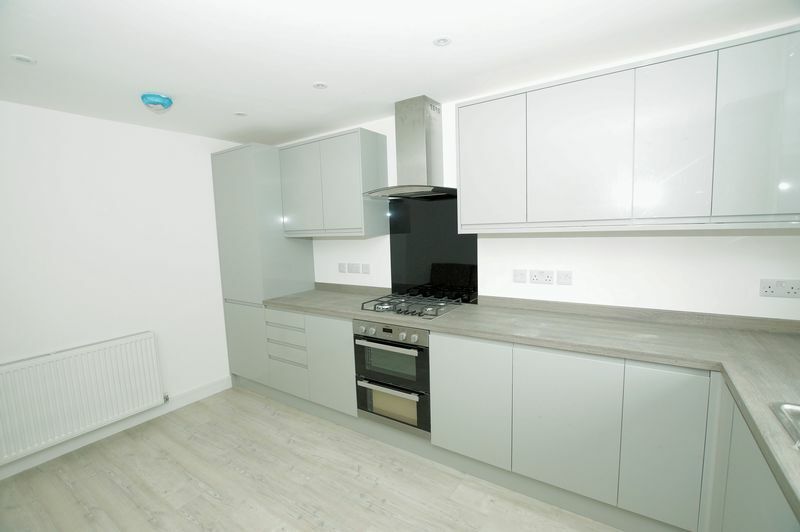 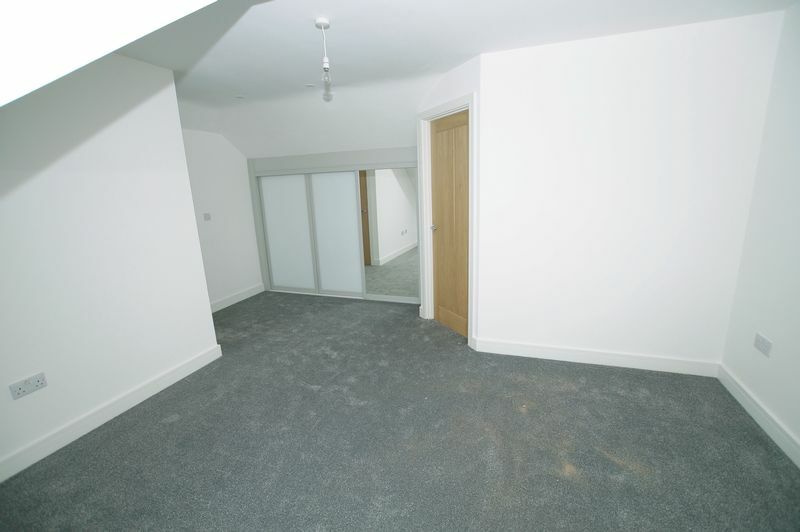 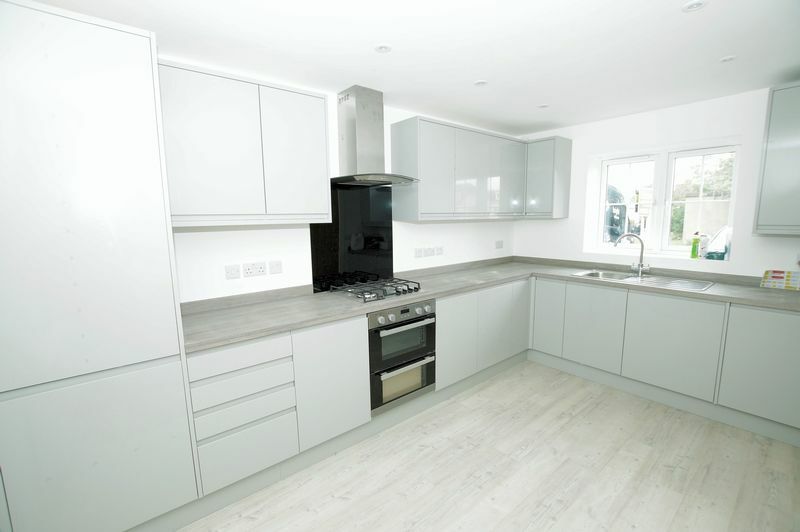 TWO NEW BUILD THREE DOUBLE BEDROOM town houses with TWO ENSUITE FACILITIES, downstairs cloakroom, Modern Fitted Kitchen/ Breakfast room, off road PARKING and enclosed rear gardens. 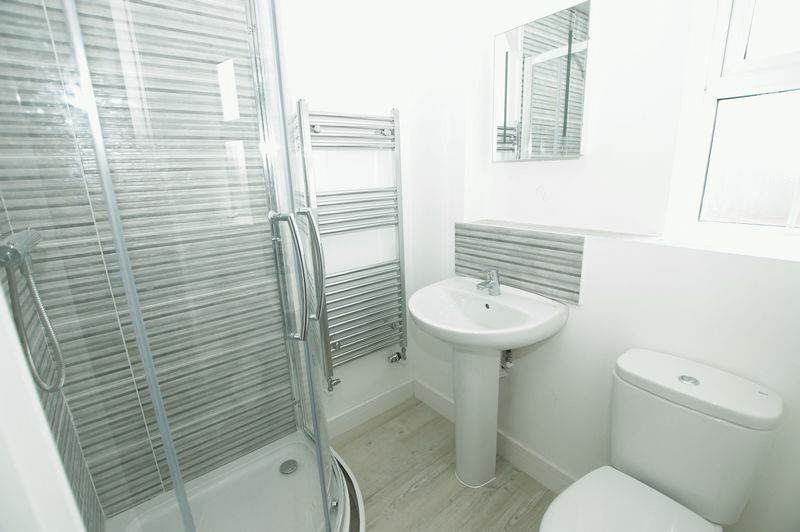 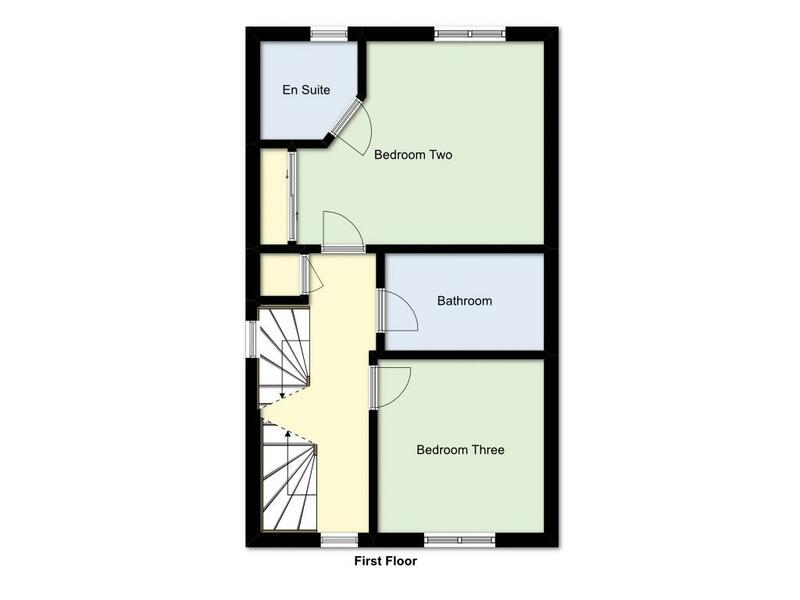 Opaque UPVC double glazed window to side elevation, modern suite comprising: close coupled WC, wash hand basin with mixer tap and tiled splashback, chrome heated towel rail, wood effect laminate flooring and flat ceiling. 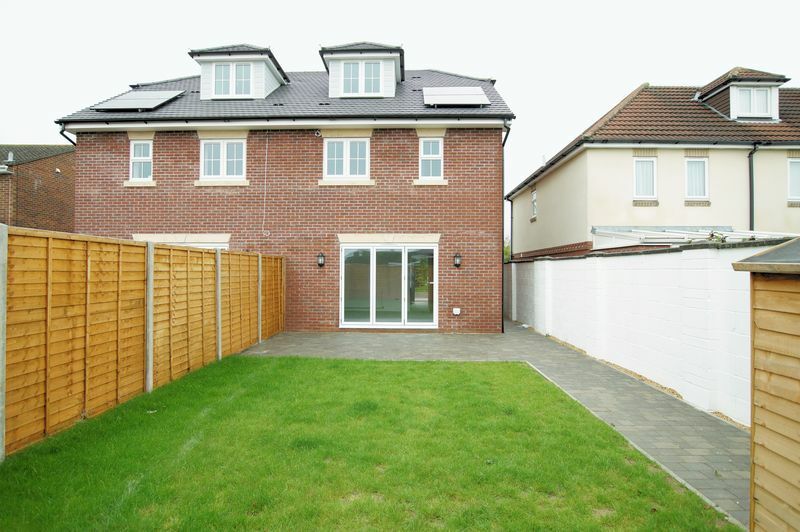 UPVC double glazed bi-folding doors overlooking and accessing the rear garden, radiator, TV aerial point and flat ceiling with twin light points. 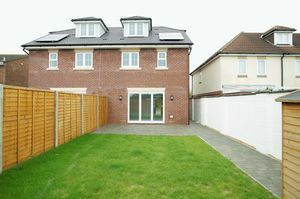 UPVC double glazed window to the front elevation. 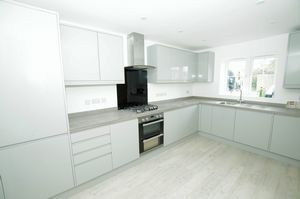 The kitchen itself is fitted with a matching range of modern soft close, base and eye level units, roll top work surfaces with matching up stands, single bowl single drainer sink unit inset with mixer tap, built-in double oven with gas hob above, extractor canopy and splashback, built-in fridge freezer, integrated dishwasher and washing machine, radiator, space for table and chairs, wood effect laminate flooring and flat ceiling with spotlights inset. 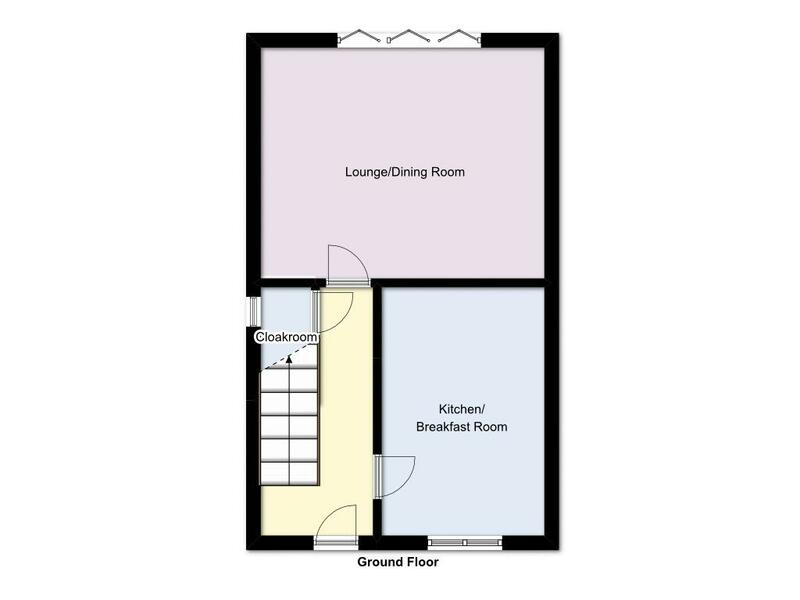 Opaque UPVC double glazed window to rear elevation, modern suite comprising: walk-in tiled shower cubicle, pedestal wash hand basin with mixer tap and tiled splashback, shelf above, vanity mirror above with shaver socket, chrome heated towel rail, close coupled WC, wood effect laminate flooring and flat ceiling with extractor fan. 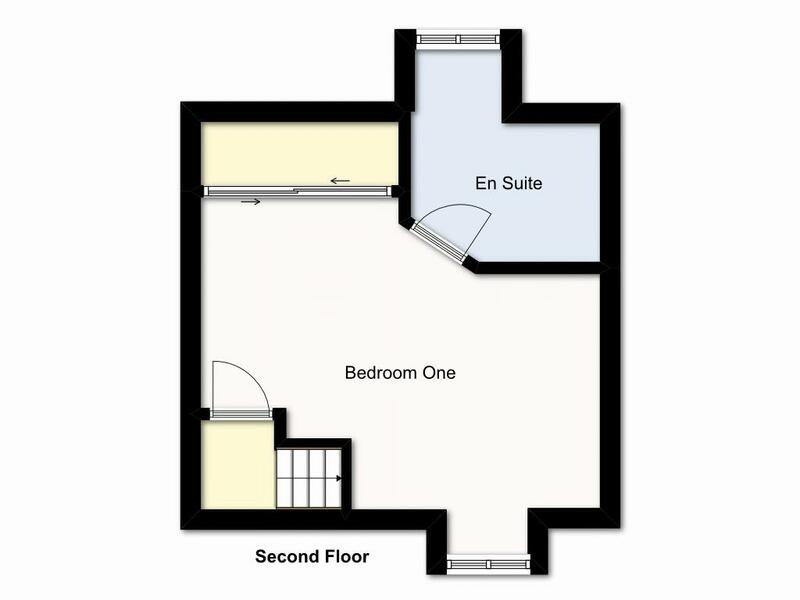 UPVC double glazed window to front elevation, radiator and flat ceiling. White suite comprising: panelled bath with mixer tap and shower attachment, pedestal wash hand basin with mixer tap and tiled splashback, vanity mirror above with shaver point, close coupled WC, chrome heated towel rail, part tiled walls, wood effect laminate flooring, flat ceiling with spotlights inset and extractor fan. 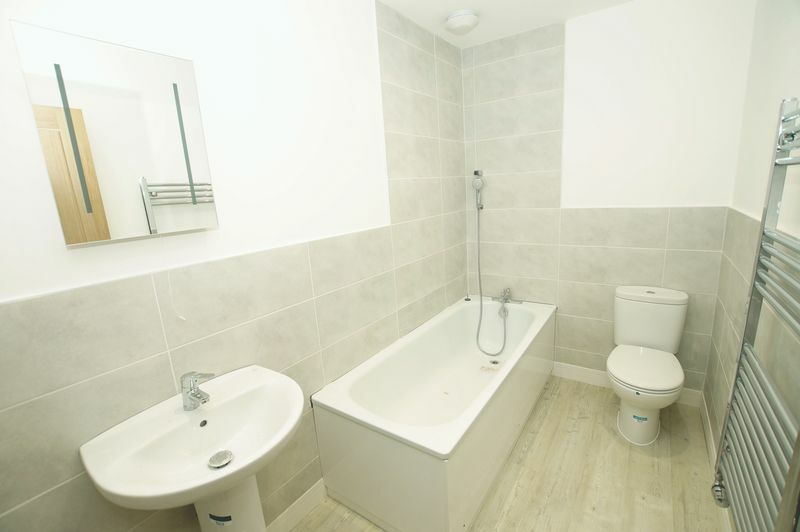 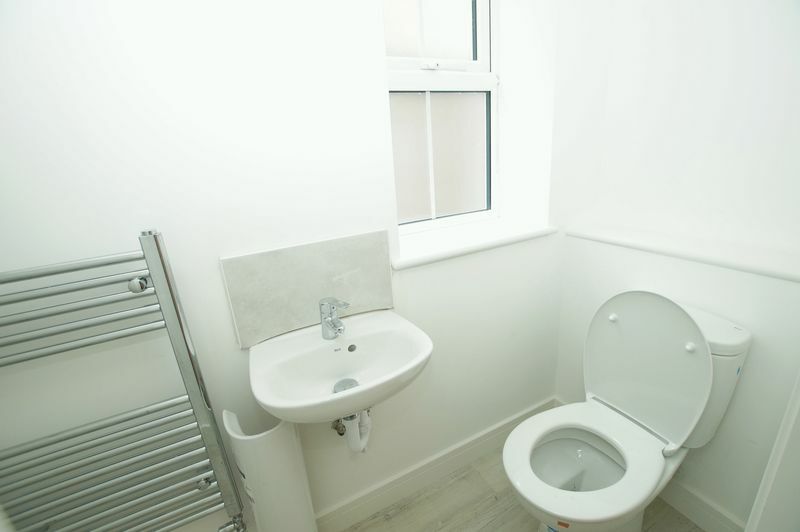 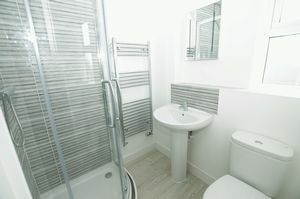 Opaque UPVC double glazed window to rear elevation, suite comprising: walk-in tiled shower cubicle, pedestal wash hand basin with mixer tap and tiled splashback, vanity mirror above with shaver socket, close coupled WC, wood effect laminate flooring and flat ceiling with extractor fan. 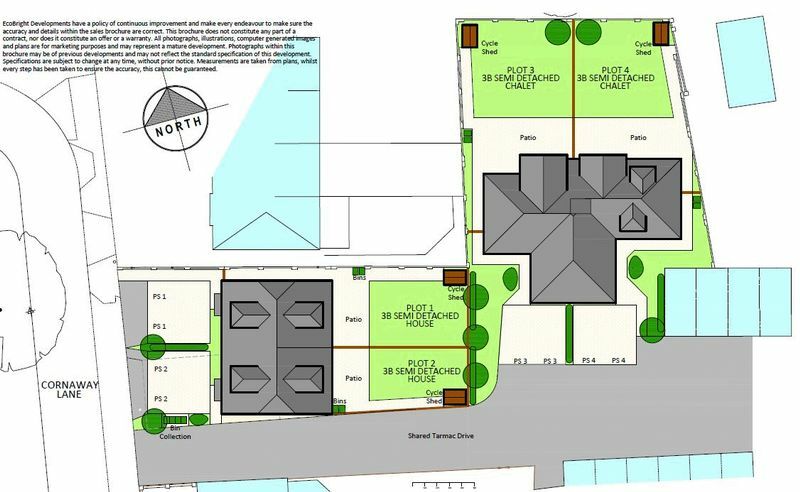 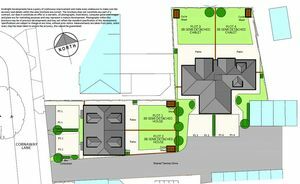 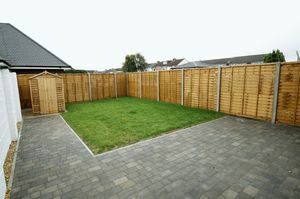 To the front of the property is block paved off street parking, wooden gate to side leading to the enclosed rear garden with patio, lawn, shingled borders, wooden shed, wall lights and power connection point.